Beau Barber is a music educator who is originally from northwestern PA. Before going to Edinboro University for music education Beau was, and is still, a guitarist for the band The Code from Pittsburgh, PA. With The Code, Beau has toured 48 states and parts of Canada, and released multiple albums and EPs. Beau also has years of studio experience from recording his own bands, Senior recitals and school ensembles. During his undergraduate music studies at Edinboro University of PA (EUP) in Edinboro, PA, Beau studied with Erik Mann. 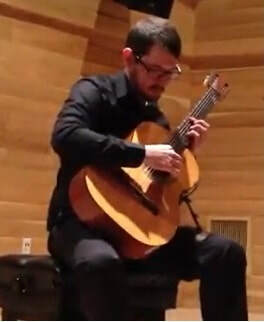 During His time at EUP he taught guitar lessons at the Edinboro Community Music School. His Master of Music Education degree was earned at Lebanon Valley College in the summer of 2018. Beau currently teaches Music Technology and Music Theory for the Central Dauphin School District. He is the director of CD East's fall play and oversees sound design for the school's Apollo Award-winning spring musicals. 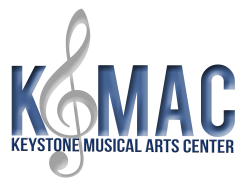 He is excited to be teaching guitar at KMAC and is looking forward to being involved with the school.